Distracted driving is a major cause of car accidents today. 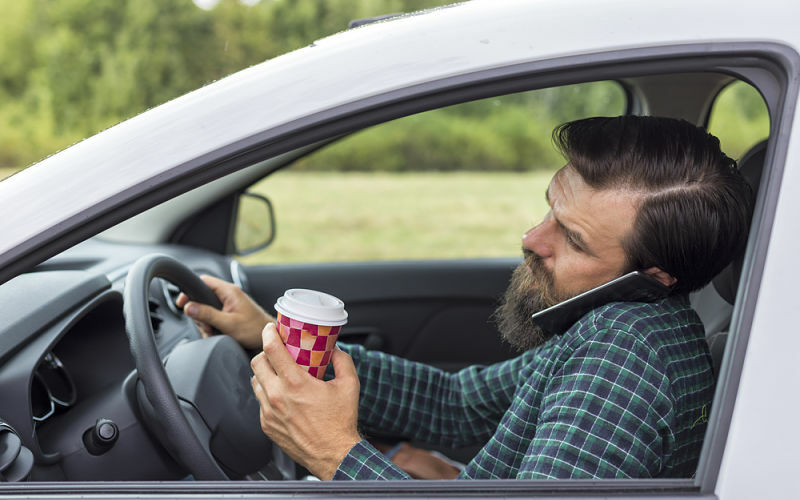 Ironically, cell phones provide both unprecedented convenience for people on the go, but they are also a source of danger due to their tendency to cause drivers to lose focus and take their eyes off the road. Car wrecks caused by cell phone use are senseless accidents that can easily be prevented. That same article reported that sending or receiving a text message from a cell phone can take your eyes off the road for 5 seconds – if you are driving 55 mph, your car has traveled the length of a football field during that time! You cannot hope to react to something you can’t see. In 2014, South Carolina passed a statute making it illegal to text and drive under most circumstances. That includes writing, sending, and reading texts. There are a few exceptions including when you are using a hands-free device, when your vehicle is stopped or lawfully parked, when using your phone for GPS, or when summoning emergency assistance. However, the message is clear. Not only is texting and driving unsafe – it is now also illegal in South Carolina. Text messages and social media can wait until you get to your destination. Your life, and the lives of those around you, are worth more than a quick response or a glance at the Facebook feed. While you are at it, try to translate that discipline to other times, like when you are home with family or out with friends. Have you been injured by a driver who was texting? No matter what we do, we can’t control the actions of other drivers. Unfortunately, that sometimes means that people get hurt in accidents that could have easily been avoided. The good news is that there is help available for people who have been injured due to the negligence of a distracted driver. If you have been injured in an accident caused by a distracted driver, contact Hofler Law Firm today to talk about your case with me in a free consultation.